It’s a seasoning or a Rub! A more intense and much hotter version of Legend Spice Blend. 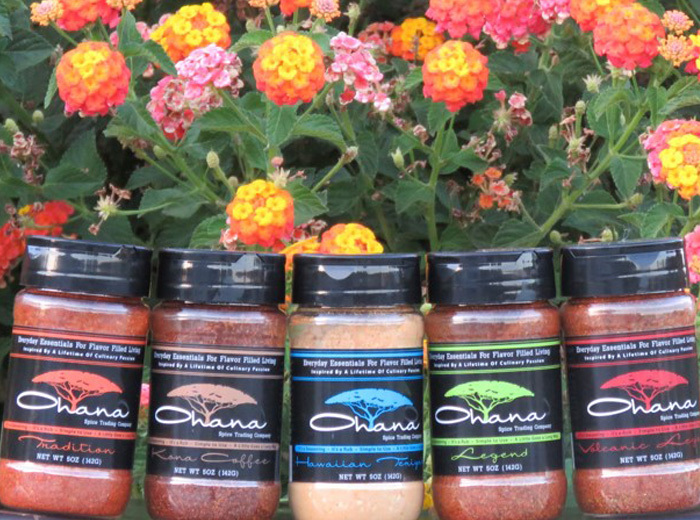 Just as easy to use in creating highly seasoned meats and fish. Add to cold butter for a final touch for hot off the grill meats. A light blend of soy, ginger and spices that bring together sweet and salty. Offers an Asian flavor influence to everyday vegetables, meats and seafood. Easy to use for barbecue, oven or stove top. Activate the marinade by adding 1 1/3 tbsp. of liquid to 1 tbsp. of teriyaki seasoning. HOW TO USE: 1 tbsp. 808 Poke RUB, 2 tbsp. water for traditional Hawaiian Poke. (raw tuna, any type of fish, cooked shrimp, mussels, octopus) Let marinate for 15 min. 1 tbsp. 808 Poke,2 tbsp. water for traditional Hawaiian Poke. (raw tuna, any type of fish, cooked shrimp, mussels, octopus) Let marinate for 15 min.